Home > Ask Our Experts > Ex is Changing My Daughter's School: Should I Be Consulted? My wife, from whom I separated 20 months ago, has recently moved from the house she was renting in the same town as me to a town 11 miles away. I have just found out from my child that she is moving my 7-year-old daughter to a school in her new town from September. Do I have any say in whether my child moves schools? We have informally agreed 50/50 shared custody of our four children and my daughter moving to this school will impact on my ability to have her to stay overnight Mon-Fri, and being able to take her to school. Many thanks for any advice you can give. When you separate from your partner there is always a tug of war about who can make decisions concerning your children's wellbeing. Finding out through your child that your ex is making an important decision without you is frustrating, and you probably feel like your opinions are not being taken into consideration. Not only has your ex moved your children further away, but now she is trying to change other important parts of their life. It is unfair of your wife to make this decision without talking to you first, as you should be consulted about your child moving schools. As you were married to the mother of your child you will have legal responsibility for your child. This means that have a responsibility to provide for your child but also that you are entitled to a have a say in their upbringing and have a Right To Be Kept Informed Of Important Developments In Her Life. Usually the distinction is that the resident parent has responsibility for everyday decisions, while the non-resident parent needs to be consulted about bigger decisions regarding their upbringing. Changing schools can be argued as an everyday decision or a major one, but either way, as you have Joint Custody your situation is a bit different as there is no one resident parent. Although it is good to stay out of the courts, it may be better for you to formalize your custody agreement so that your rights can be recognized. As this decision will impact on your ability to care for your child it is a major one and you should be able to fight against it if you want to. Tell your wife about your concerns but, if she is unwilling to cooperate, it may be a good idea to consult your lawyer as you have a good legal case. You do not say what your relationship with your wife is like but try talking to her (read our article on Developing An Amicable Relationship With Your Ex). You should not be hearing about things like this through your child and if you agree to joint custody, she has to realise that you need to be consulted about any decisions that she makes. Setting the ground rules now will help you both be clear about your rights and responsibilities as you move forward. @caz.at 14 there is not much you can do they have there own mind you could apply to court put at 14 is it worth it ?. I am in the same boat but( I feel ok about it )now with the (circumstances )with the mother off my child( I stay well clear off that gross thing)and never been happier . @caz.at 14 self harming is pretty common I myself been though all that stuff with my younger brothers they grow out off it it’s usually just a praise they go though .hormones the shift between been a child to adult.just keep i on them and talk to them they will grow out off it hopefully.and in today society coming from a broken family is common so that wouldn’t be the cause look closer to home you might find the answer . A week ago my 14uear old daughter left to go live with her dad after an argument, she has never had any contact with him apart from phone in last 3years,we had moved to a new area and she is suppose to be starting school tommorow but has refused to come back, I have found out from my eldest daughter she has been self harming which her dad never told me, I have had no communication from her dad about anything since she got there, he is controlling her phone, I also found out he has also applied for the for her to go to a school there after 3days,im so worried about her because he is verbally controlling and obviously being 14there is nothing I can do. I just want her home. Hi. I have a question please.I am divorced from my ex wife and my youngest daughter is 14 years old.I have contact with her 5 nights in a two week period.I live around 50 miles away from her school which is near where her mum lives.My daughter has had issues at school with being bullied for the last 12 months and has spoken to her mum about changing schools but she won't let her.My daughter has asked if she can live with me and go to a school near me instead to get away from the problems.I have said I am happy to help as don't want her to be distressed but I know my ex wife will be totally against it.We are both going to raise it with her and try to convince her.However how do I stand if she disagrees?As my daughter is 14 I assume her wishes would be considered but don't know what I can do to help her. What can I do? I am divorced and have shared parental responsibility with a 50:50 court order in place. My oldest needs to select a secondary school. There is a perfectly (in fact very good) suitable school nearby and his primary school is a feeder to it. I want my son to go there.All his friends are also going there. My ex however has been investigating private schools.I’ve told her I can not afford this (under our 50:50 arrangement no maintence is paid)and that the local state school is more than suitable. The deadline for applications is end of October and we have our first discussion at the end of this week. Knowing my ex she will just disagree with me whatever I propose. What I don’t understand is under a shared responsibility set up can I veto the choice. We’ve already spent tens of thousands on court and this just seems totally unnecessary. Let alone the complexities of getting one kid to private school 8 milesaway whilst the other one to primary school for the same time. Any suggestions? Do I need my ex partners permission to change our sons school? Hi there. I had a child from a one night stand several years ago. His mother and I have always been on good terms, and I am on the birth certificate as his father. We've always been friendly and came and went with one another with regards to childcare etc. A few years ago she moved to another town with her then new boyfriend, with whom she has another child. My son was put into school in this town and is happy and settled there. my wife and I have recently bought a house in this town to be closer to my son and be more involved in his schooling etc. HIs mother has now split with her former partner and is planning to move back to her home town with my son, taking him out out of school and into a new one. Do I have any legal recourse to stop this from happening? Hi,Me and my ex partner have just been through a lengthy custody battle which finished in Feb. We have shared custody of our 2yr old son whom currently gos to Nursery 2 days a week where hes happy and settled. My ex is now telling me when my sons 3 hes changing his nursery and he has to go 3 days a week so id lose one of my days if I agreed. I told him I dont want this and theres no need to change and now he's telling me he'll take me back to court as the government states a 3yr old has to go 3 days a week which im sure isn't true. Any advise? There is no legal obligation for children to attend nurseries or school until they reach the age of five, so you can disagree with your ex's proposal. If you have an order from the court, then any changes to a contact order must be agreed by both parties. One party cannot unilaterally decide to change the order or apply additional terms. If they wish to do so, 'they' will need to refer the matter back to the courts. Hi, Me and my ex partner have just been through a lengthy custody battle which finished in Feb. We have shared custody of our 2yr old son whom currently gos to Nursery 2 days a week where hes happy and settled. My ex is now telling me when my sons 3 hes changing his nursery and he has to go 3 days a week so id lose one of my days if i agreed. I told him i dont want this and theres no need to change and now he's telling me he'll take me back to court as the government states a 3yr old has to go 3 days a week which im sure isn't true. Any advise? 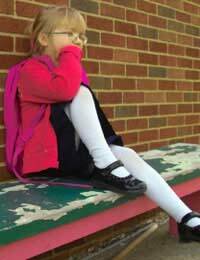 My ex has moved my children's school, and after reading ofsted and looking at everything, including how my children are doing in the school, I am not happy. This was done without my consent and wasn't told until the transfer paperwork had already been put in. They have moved to a school that has a worse ofsted and they are not progressing in their learning, even going backwards on some subjects, compared to the previous school. But she has moved them as her mother works at the new school and she wants her youngest son (with a new partner) to go to the new school. She feels like if our children are in the school her son has a better chance of getting him in even though my son would have left the school by the time her youngest goes there. Is there anything I can do about this as my children's education is my priority and she has actually put this in jeopardy. The problem is, if your ex has moved their schools, by the time it gets to court (if your ex refuses to negotiate through mediation), then your ex will have the reasoning that your kids are settled. There is also the issue of school places. School places are filled up early, so finding an alternative may also be difficult. Yes, in theory your ex should have consulted you on the school move (if you have parental responsibility). However, now the move has taken place, it would be difficult address through court as there is no guarantee the court would rule in your favour. Can my wife simply take my kids out of school, go and visit a new school and enrole them, and then tell me after the event that the kids are moving school. This is out of county and double the distance away from me from Worcestershire to Leicestershire. She has told me that she was just looking, but then accidentally dropped out that she has put in an offer on a house local to the school as well so it’s more than just a quick visit out of interest. This is a calculated and deliberate move which I have been completely blindsided & unaware of. I need advice as a grandmother. My son was in a relationship with a lady who had 3 kids with three different dads and had a daughter with this lady. The lady as sweet until my granddaughter was two and she changed her tune. The relationship broke down and the lady moved address without letting us know. My son looked after the child since birth till 2 years old. We have not been able to see the child for 2.5 years. This has broken my son and our family. We would like to gain access to the child but do not know where to start. Please advice. We have no address although we know where the eldest child of the lady goes to school. You may wish to report this to the police. If you have a residency order of your children and there is a court order in place that only allows your ex specific access, then the police may be able to intervene and return your son to you. I am a mum of two children whome both have seperate dads, they stay with their dads Tuesday til Friday every week. We’ve just moved towns but the dads are refusing to compromise on moving the school so it takes us an hour to get to and from school. I also worry they won’t be able to join in with normal things growing up such as playing with school friends at home. Am I allowed to move them to a school round the corner or am I stuck by whatever dads decide? We have just recently been to court and we have got 50/50 shard care of our boys. She works in the same school to where my children go. It’s 5 mins away from me and my parents help me out taking them to school and picking them up as I work full time. My ex has told me she is now leaving the school and moving the boys away to another school. This is going to have a massive impact as now I will not be able to get the to school and back as the school will be 10miles away. This will effect my time with them as they do t be able to stop with me In The week after we have just been to court. What can I do ? Much depends upon whether you think your ex is being awkward, or has a valid reason for the move. If you think she is making the move deliberately to prevent the shared-care from taking place, then you may have a case to take the matter back to court. A solicitor's letter reminding your ex of the terms of the order may also work. However, if the move is for a valid reason i.e she is moving house and therefore wishes to put the boys in a school nearby, then she may have a valid argument. Also, if your ex is deliberately making the move to thwart shared access, you may be able to apply for a Prohibited Steps Order, which prevents a parent removing their child from a school or area. You may wish to seek some legal advice regarding this. Hi, just asking for some advice please. My Partners ex has decided to take their Son out of School to home School him without discussing it with my Partner and the first we heard about it was a phone call from the School to ask if my Partner knew! My Partner has Parental Responsibility due to his Son being born after 2003. His Son also stays with us for 10 days a Month too. Is the Mother allowed to just take him out of School to home School him if my Partner totally objects to it? My now ex partner of 5 years just packed up and moved our son to the other end of the country overnight without even saying a word or including me in the decision, my son is 4 and has autism and she is talking about changing schools do I get a say even though we were never married. I am on my sons birth certificate and have parental responsibility. If you have joint parental responsibility, your only option would be to apply to court asap. If you have PR, then your ex should have consulted you to remove your child from the area. If you refused, then she would have had to apply to court. Your ex has obviously taken the decision in her own hands. Therefore, you may wish to seek legal advice regarding whether it is worth taking the matter to court. As in all cases, the court’s main concern is the welfare of the child in question. The court will always put the child’s best interests first and this main issue will determine the outcome of any application for an order. I am a mother with joint PR. I would like to move the children to another school which is equal distance for both of us, as I work 50ks away from home. My ex husband wouldnt agree so I instigated mediation. He refused to consider changing their schools therefore mediation has been unsuccessful. I dont want this to become a court battle. How can I get him to compramise? And what are my rights as a mother that pays him child support and he contributes nothing? Court is the only option when mediation breaks down and two parents cannot agree on a matter. My ex wife and I have joint parental responsibility for our children. Not long after our split she met another man and has since moved my children 80 miles away and to a new school without consulting me. She has since remarried. I was seeing my children 4 times a week as they only lived 5 mins away. Now I only see them once a week if I'm lucky as I can't drive (medical reasons). Was she allowed to do this (move that far away with the children) without my consent ? No, if you have parental responsibility of your children she should have requested your consent. If the move has been recent, you may wish to seek legal advice in order to explore your options. However, it's a bit tricky if the move has already been made and your kids are settled in schools etc. Sometimes, the courts can prevent the move if it feels it is in the children's best interests to stay where they are. However, it is more difficult to get them back once the move has taken place. At the same time, a court will generally not prevent one parent from moving away unless the move cannot be justified. As in all cases, the court’s main concern is the welfare of the children in question. The court will always put the children’s best interests first and this main issue will determine the outcome of any application for an order. My wife and I have been separated for nearly 3 years and have joint custody over our children. I agreed to pay a monthly amount to her for the care of the children at the point of separation and we agreed to split the cost of hobbies, etc 50:50 at the time. We have done this independently of the CSA, but I used their calculator at the time. I have often paid more than she has for these hobbies, but given we are three years on, I am not sure what the situation is concerning the payments. The children spend exactly half the time with me and I want to know why I still have to pay maintenance to her. What options do I have? If you have shared-care and have a family-based child maintenance arrangement, then the amount is agreed between you both. If, for instance you decided to stop paying and your ex decided to apply to CMS, then if your ex is classed as the primary carer, i.e she receives child benefit etc, you would be assessed on the amount that you (the non-resident parent) have the children staying overnight. In such cases, CMS makes a deduction to the weekly child maintenance amount based on the average number of ‘shared care’ nights a week. Many parents who have shared-care (where both parents work and have similar salaries) agree to split the finances down the middle and one parent does not claim child maintenance. However, where one parent may work and the other is the stay-at-home parent or works part-time and deals with most of the day-to-day issues and welfare of the kids, the situation can revert back to the paying parent and the receiving parent. If you have a working family-based arrangement, your best option is to discuss mutually with your ex what you both think is fair.